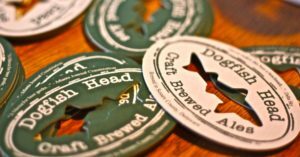 Viniferous, Flesh & Blood, American Beauty, and more Dogfish Head beers! Join us at Bastion for a shot and a beer after the Way Late Play Date. It's like a Way LATER Play Date. Specials from TrimTab, BrewDog, East Nashville Beer Works, and Jackalope.